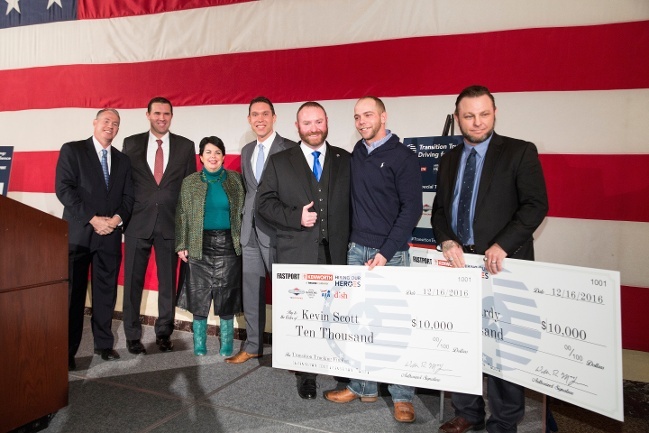 U.S. Navy veteran Troy Davidson, now a driver trainer for Werner Enterprises, is the winner of the 2016 “Transition Trucking: Driving For Excellence” award, and Kenworth, FASTPORT, and the U.S. Chamber of Commerce Foundation's Hiring Our Heroes program are now searching for the next Veteran who will follow in his footsteps. 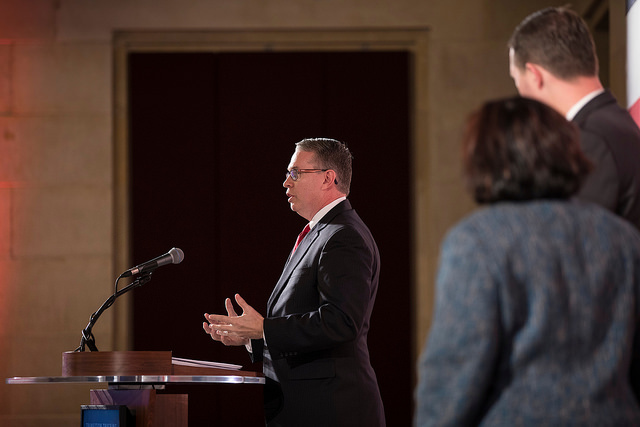 The “Transition Trucking: Driving for Excellence” campaign, launched in the spring of 2016, is part of an overall effort to inspire the hiring of more veterans, national guard members, and reservists into the trucking industry. As the main part of the campaign, deserving veteran drivers who had made a successful transition from military service to the trucking industry were able to participate in a chance to win the truck. 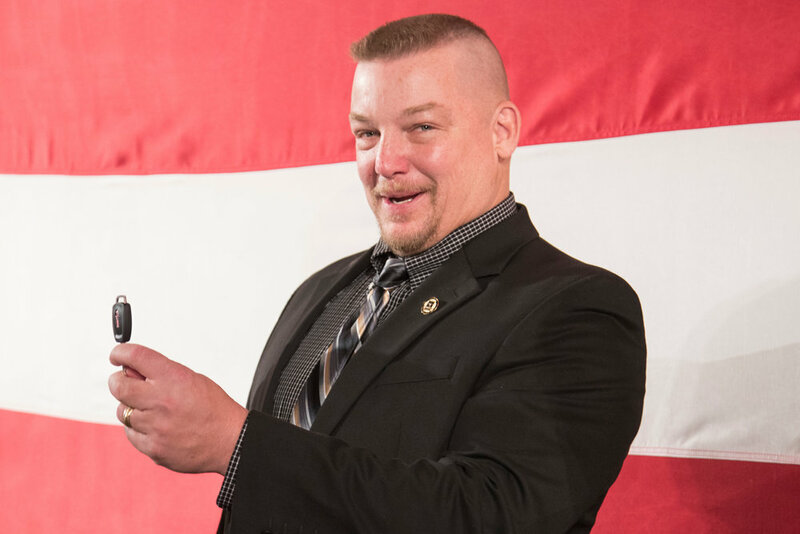 While the 2017 nomination period begins on March 23, we encourage you to be on the lookout for which deserving veterans you would like to nominate from your company now. 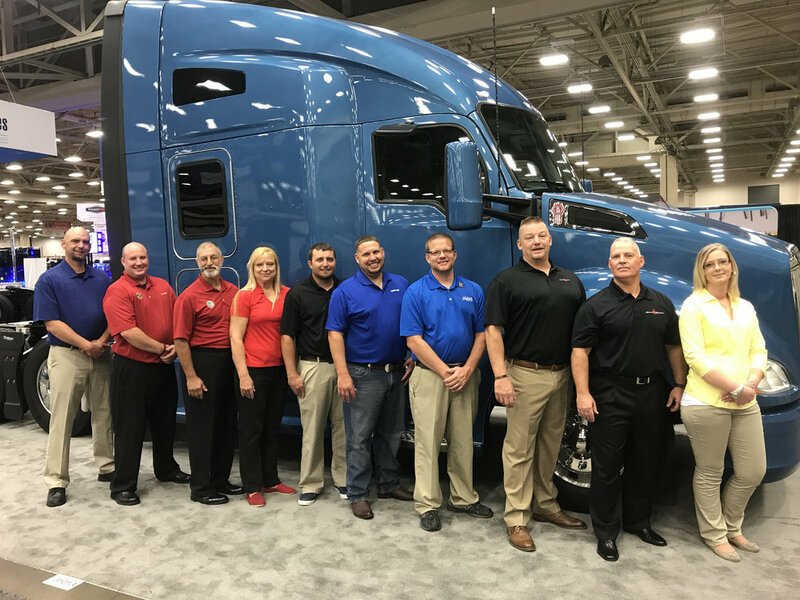 After the Top 10 award finalists were recognized at the Great American Trucking Show, Troy along with runners-up Russell Hardy and Kevin Scott went through a voting process where America selected their favorite driver. 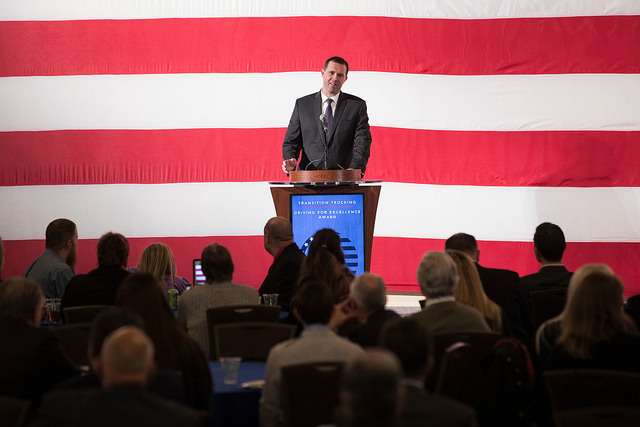 Each Transition Trucking finalist displayed exceptional success in the trucking industry and tied that achievement in some way back to their military training and displayed incredible examples of what veterans can accomplish after they transition from the military into civilian careers. "This is a life changing event,” Troy said as he took the keys to his new Kenworth T680 at the U.S. Chamber of Commerce where the announcement took place. “I'm not going to let anybody down. It's very humbling, and I am honored to be here today to accept the keys of that pretty truck out there." The Transition Trucking: Driving for Excellence Award is currently seeking sponsors to ensure we can continue improving the lives of incredible Veterans like Troy, Russell and Kevin. For more information on this opportunity, please watch the video below.